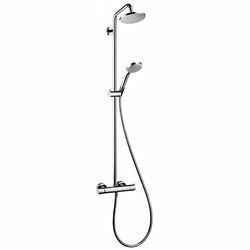 Hansgrohe > Croma 160 1 Jet Showerpipe Pack (Chrome). Hansgrohe Croma 160 1 jet Showerpipe shower pack in chrome. With thermostatic valve, riser rail, head, handset and hose. Croma 160 overhead rain shower with swivel joint (160mm). 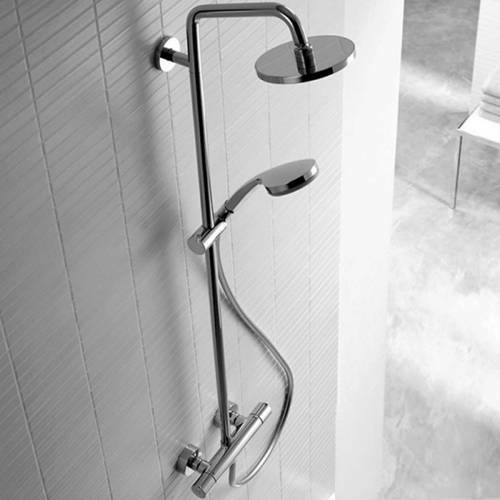 Shower arm length: 270 mm. Operating pressure: 1.5 bar to max 10 bar.